Here’s a recipe that is loved by the locals in Nagaland. This dish is made of snails (called ‘hamok‘ in Nagamese), local beans and pork. 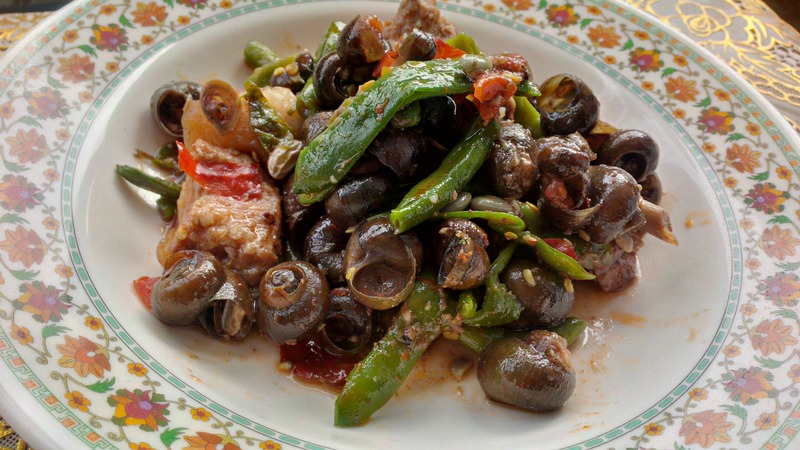 Recipe | Snails with Pork and Beans – Naga Style. Soak the snails in clear water for 48 hrs (so that they cleanse themselves). Change the water every 24 hours. With a spoon, tap the pointed end of the snail to make a hole, so that the spices can go inside, while cooking. Lastly put the beans and cook it for 5-10 minutes, put water if required. Serve with warm steamed rice and enjoy. An extrovert, a Foodie and a lover of books. My friends describe me as a fun loving girl!